According to wiki, a receipt is a written acknowledgment that a specified article or sum of money has been received. Receipt is different from invoice, invoice is a document that send out to customer/buyer to request money while receipt is a document that send out to the customer to acknowledge that the money have been received. What should we put in Receipt? Information about the products and services should be stated clearly in the receipt. This is important for customer to understand what they have actually pay for without any argument. Total amount paid and taxes information like GST, VAT and etc need to be printed in the receipt. Company or business information like registration number, company address, company website and contact information like email and phone number should stated clearly. Others than that, a unique receipt reference number should printed in the receipt together with the receipt created date for future reference. Receipt also can become a media of advertising. A good design and professional receipt will make a good impression for the customer. Below are sample for professional business receipt. 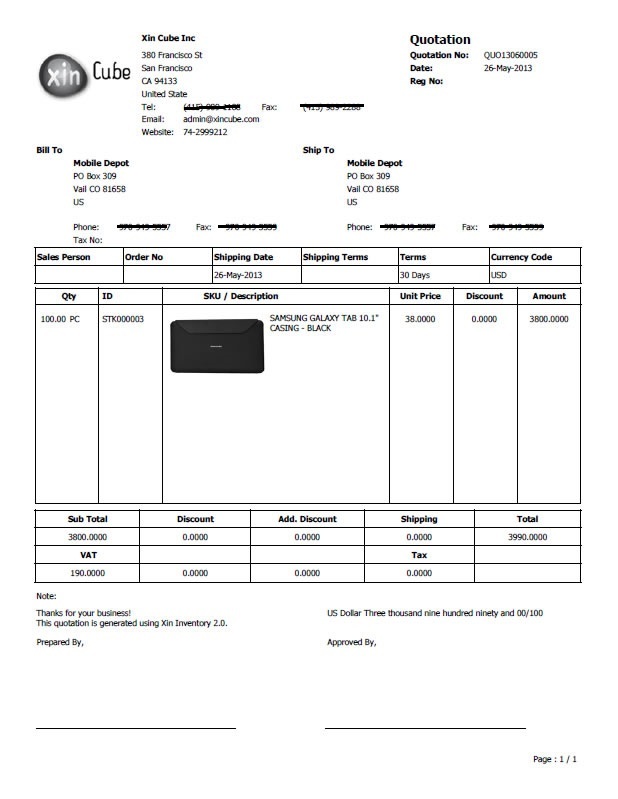 Click receipt template to see more receipt. User can create receipt easily using Xin Inventory 2.0.